For the Tabaan project, Waraq plans to build two facilities that do not exist elsewhere in Beirut: an etching atelier and a risograph machine, which would be made available for artists to produce their work. The project is designed to equip artists interested in producing art on paper (printmaking, bookmaking, paper products, etc.) with working spaces and production facilities, aiming towards advancing contemporary visual art practices within today’s society. The project encourages the idea of the artist as researcher and artisan. The platform should support, produce and showcase creatives, such as illustrators, designers, comic artists, creative initiatives and collectives currently making an impact in the art scene. The outcome of these collaborations will be curated collections of prints and multiples, the sale of which will support the production of the next collection. The artists are given the creative freedom to experiment with different mediums to produce their work and to engage with the surrounding neighbourhood and the wider city through researching, documenting and tackling societal realities. Introducing the artists to alternative and cheaper means of production is central to helping them avoid the trappings of a laissez-faire economy. 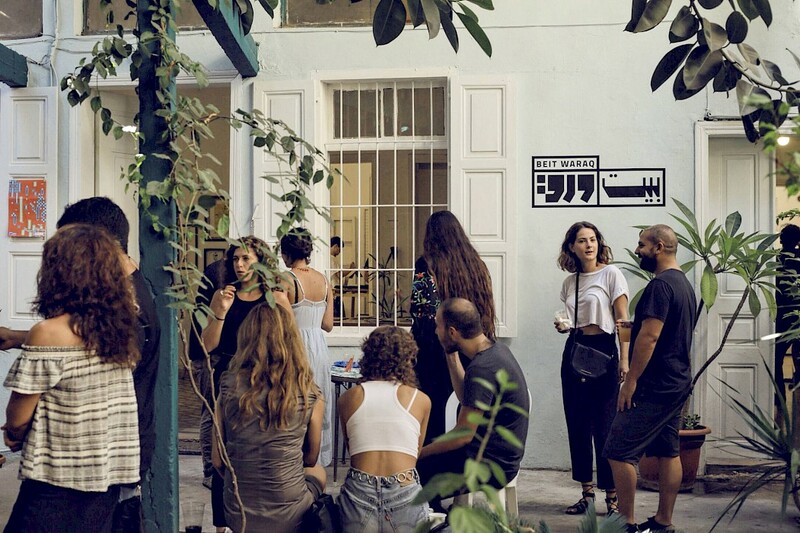 Waraq is a cultural and artistic association based in Beirut, Lebanon. Founded in 2012, Waraq acts as a platform to support, promote and connect artists and professionals in the Arab region. The focus is on illustration, animation and craftsmanship, while allowing participants to exchange expertise, share resources, and showcase their work.